For over 30 years, Home, Door and Window Products has been providing our customers with the best purchase experience possible. Durable and aesthetically pleasing, a security storm door will add long-lasting value and curb appeal to any home. We offer the most extensive selection of Fox storm doors in our showroom. 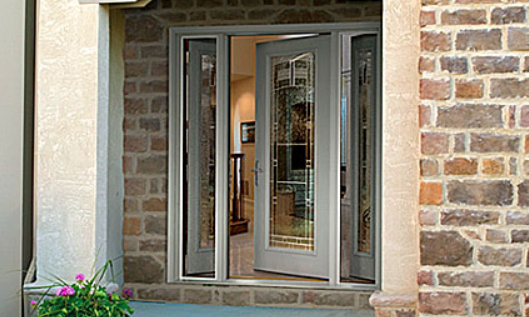 Come in today to see why Home and Door is the only name for storm doors in and around Oak Park. With multiple storm door models, colors and options you are sure to find something that catches your eye. Let the experts at Home and Door help you find your dream entrance with a new storm door. The city Oak Park is a business minded and family-centered northern suburb of Detroit in Oakland County, Michigan. With nearly 30,000 residents, the city of Oak Park is proud of its rich cultural diversity and safe, secure neighborhoods. Home and Door provides everything you need for your residential storm doors. Our superior selection of Fox storm doors is unmatched in Oak Park and the greater Detroit area. The security storm door experts at Home and Door can customize your doors to fit your style. Our estimates are always free! Call today to find your new Trapp storm doors, and you’ll be happy you did! Your homes entry storm doors have an important job to do, not only do they make a first impression of your home, but they protect your home from the harsh Michigan weather. At Home and Door, we carry the full line of Fox storm doors and security storm doors designed to enhance your home’s value while keeping the weather out. See our showroom for the extensive variety of designs and frame colors you can choose from. Our customer service team will show you why Home, Door and Window Products is the best provider for your next storm door purchase. Call for an estimate at (248) 399-9900 or stop by our showroom today!